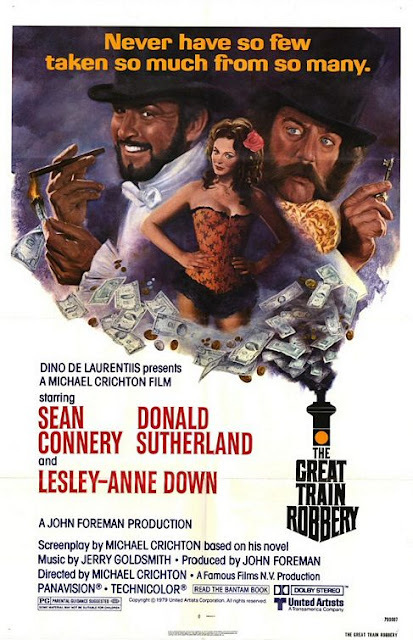 Chrichton's World: Review The First Great Train Robbery (1979): Almost a classic but not quite nonetheless very entertaining! Review The First Great Train Robbery (1979): Almost a classic but not quite nonetheless very entertaining! The First Great Train Robbery (previously known as The Great Train Robbery) is a personal favourite of mine. I have seen this three times now and has not disappointed me yet but I would not call this a classic. This film has high production values and is made with a lot of care and attention to detail. But the biggest flaw or criticism I can give is that the direction could have been better. Michael Chrichton could not decide whether he wanted to go the comedic route or the serious one. Naturally there is no objection of combining the two if both would be balanced well. And this is not the case. For the most part it is comedic and only in parts very serious. This contrast is so huge that the serious parts fell out of place. Despite this I did think that most scenes contained enough excitement to keep you interested. Although I wished Michael Chrichton had done more with his characters. We barely know what they are about. Right from the start they are propelled into their adventure without any significant background given. It is purely because of the charm of the actors that we root for them. And I would expect no less from Sean Connery and Donald Sutherland. Even Lesly-Anne Down (North & South) was very dependable. It's a joy to see what they have to do in order to achieve their goal. For the most part this film is very light and it rarely feels like something is at stake. This could have been remedied if there was a better motivation for the characters to start this elaborate enterprise. On the other hand I personally never was bored. I actually was able to enjoy the film for what it offered me. Even after having seen this three times. Unfortunately this is not a movie you can watch over and over again. Some time has to have passed in between. And that is mostly because of this movie not really containing classic moments. 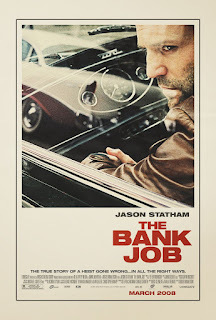 I can recommend this especially if you like heist films but do keep in mind that it's very light.